Backstory: Had an '89 760 I bought cheap, fixed up, manual swapped, didn't like. Just too plasticy for me. Sold it, basically broke even on the sale. 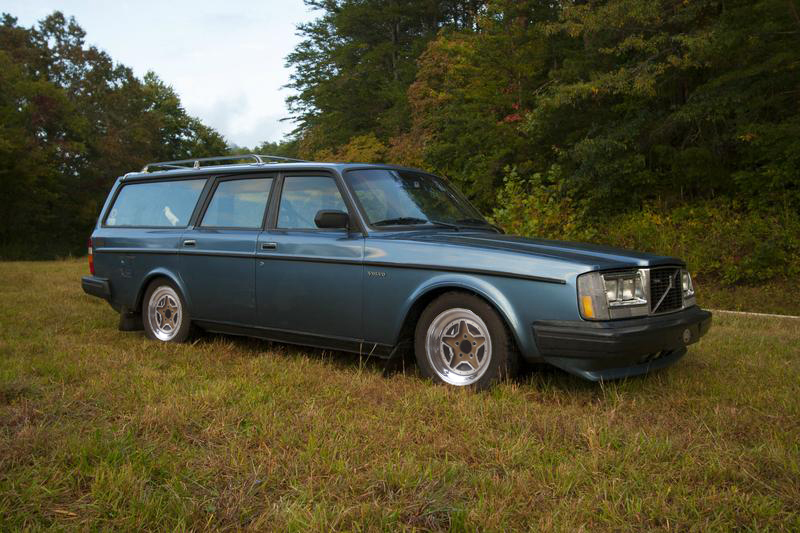 The day I was going to meet the guy to sell it, I was searching for my Craigslist ad and ran across an ad for an '83 245 Wagon listed for $2,500. Intrigued, I called the guy and set up a time to meet for after I sold the 760. Rolled over to the dude's house and just absolutely fell in love with this car. It's an '83, factory turbo, factory manual car. 328k on the clock, but it still runs like an absolute champ. Only thing wrong with it is hard starting (couple of tiny vac leaks probably) and some rust in the rear floors (already ordered replacement pans). I talked him down from $2,500 to $1,500, nitpicked a little more, and rolled off for $1,200. I've already put like 1,000 miles on it without a hiccup. Love this thing. It's currently non-intercooled and terrible, but everything is exactly where it should be. Nothing is out of place. That's the major reason I bought it. Drove it for about a week, got tired of the boat, so I took the IPD springs and poly bushings off the '79 2(5? )4 and transferred them over. The DeCarbons in them were blown, so I threw in another set I had. Cut 1.5 coils off the front and .75 coils off the rear while I was at it. Turns out that DeCarbons really, really, really don't like being lowered, and both struts immediately blew out. Like didn't blow and get soft, basically seized up. One turned into a pogo stick, the other is stuck solid. Sucked. Went and ordered a pair of Gabriels for a Saab 900, and did the short strut thang. These are apparently just a hair too big for the strut tubes, so I took them over to a friend's shop and chucked them up in a lathe. Took the paint off and hit them with 80 grit for awhile. Still wouldn't fit easily, so instead of trying to turn off a couple thou from the OD (didn't do this-they had like 1/4" of runout...it wouldn't have ended well), I greased up the insert and pressed it into the tube on the press. Retained the stock spring perches, because cheapass. Overall I'm very, very pleased with the setup. Soft enough for driving every day, but limits body roll well enough to outrun a Z3 on the Dragon with ease. Really, the only modifications I have planned are adding an intercooler and turning the boost up enough so you can actually tell this is a turbo car. Last edited by propav8r; 10-21-2014 at 11:19 AM.. The struts weren't too big. your housings are bent. Looks 10x cleaner than when I first looked at it. Looks 10x sicker after suspension. Find More Posts by suped. Also, check your email and get my last cam. haha. I love it. Makes me wish that I hadn't sold mine. Rare to see a clean East coast brick like that nowadays..that was a score even for $1500. Love the car, so clean, much nicer than my 83 245t when I got it. Try and keep it nice and stock mostly. Hate to see what all these children are doing to the last remaining 240t's. Thanks for the kind words guys. 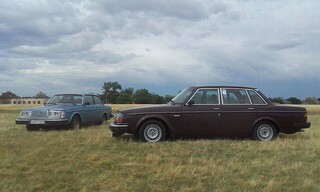 The plan was to put the intercooler in this weekend, but I wound up going to EuroFest (Saw a Volvo 480!) in Greenville instead. Need to fix up the floor pans too. Nice score! 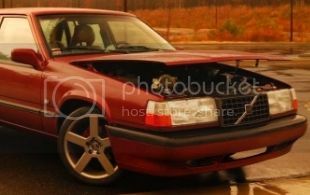 A friend of mine (DaytonAE86 on here) had one just like it when I was getting into Volvos. Brings back some fond memories. I could buy these 15" Kel-Stars from Stephen's old 240 for a decent price, but I'm not sure how I feel about them on the car. I think it worked a lot better on black. Nice 'shop! Cool wheels, but I don't think they work on that particular wagon. I don't either. I kinda jumped the gun on em because I liked them so much on Stephen's 244, but I don't think it's worth the $550-600 I'll have to invest to get em onto the wagon. Stick with the Virgos. Super-stock FTW. It's gonna stay k-jet. Close enough? You gonna 'style' it so you can't send it back to the motherland when you tire of it?